Welcome to the Kingsbury Church in Hudson Falls, NY. To learn more about what we believe, you can visit our About Us page. Akshat Jain, M.D., pediatric physician specializing in hematologic disorders at Children’s Hospital, said he is pleased with the outcome of the transplant and what it means for future patients suffering from sickle cell disease. “We created a successful program so children and their families suffering from this disease don’t need to look elsewhere for treatment — it’s available to them right here,” Jain said. 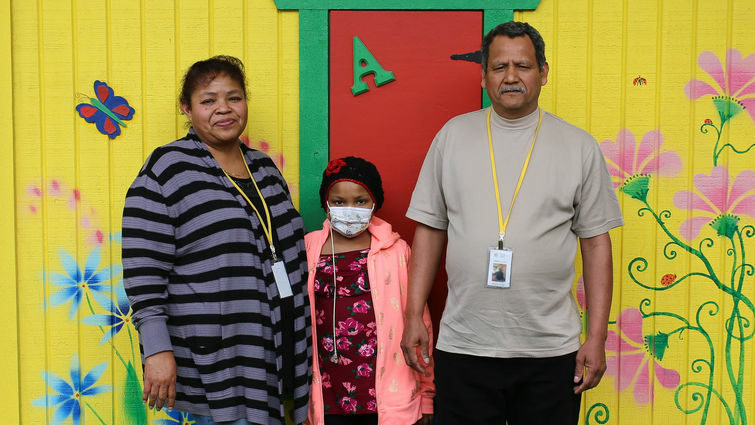 The patient, 11-year-old Valeria Vargas-Olmedo, had lived with sickle cell disease since birth. Her family began seeking treatment last year after she became incapacitated, unable to continue daily activities such as attend school, get in a car, or even walk. Doctors said she had debilitating chronic pain, bone loss, and bone necrosis. Sickle cell disease causes a shortage of red blood cells and thus an oxygen deficiency in one’s body. This can cause chronic pain and other serious complications, such as infection, acute chest syndrome, and stroke. Without oxygen, any organ has a high likelihood of dying off. Jain said the disease is generally found in populations like those in the Inland Empire, such as Hispanic and African-American populations. — Sheann Brandon writes for Loma Linda University Health News; this article originally appeared on the LLUH website. During this special visit, Costa was able to give the president a brief report of what the local Seventh-day Adventist Church has been doing in the areas of education, health, spirituality, communications, and social work to relieve the needs of its citizens. He also shared an overview of the activities of the church around the world. Morales, in return, mentioned that he is well-acquainted with the Adventist church, since an Adventist school is located right across the street from the Baptist seminary where he attended. Morales and other members of the government received a copy of the Ellen G. White's book The Desire of Ages and a devotional book. In gratitude for his service, Costa also gave Morales an Ambassador of Peace medal after reading from the Bible about Christian leadership. Toward the end of the meeting, Costa prayed for God to lead and bless Morales and Guatemala. This meeting, in part, was made possible by the president's butler, who is a member of the Seventh-day Adventist Church. It is the second meeting Costa has had with local government officials in Guatemala, as the local Adventist church seeks to reach people in all levels of society with a message of hope in the second coming of Jesus. Costa was in Guatemala to celebrate Escrito Está's 25th Anniversary, holding a series of meetings entitled "Un Futuro con Esperanza" (A Future with Hope). The meetings concluded with 210 baptisms. — Cassie Matchim Hernandez is development assistant for It Is Written; click here to read a blog on the first meeting with Guatemalan government officials. CLICK HERE for more NAD news.